My Guide is changing lives in Hull. The My Guide project helps visually impaired people to access community activities. Guide Dogs is looking for people who want to make a real difference to the lives of visually impaired people in Hull, and is now actively recruiting volunteers to spend a few hours a week helping blind and partially sighted people get out and about in their community. 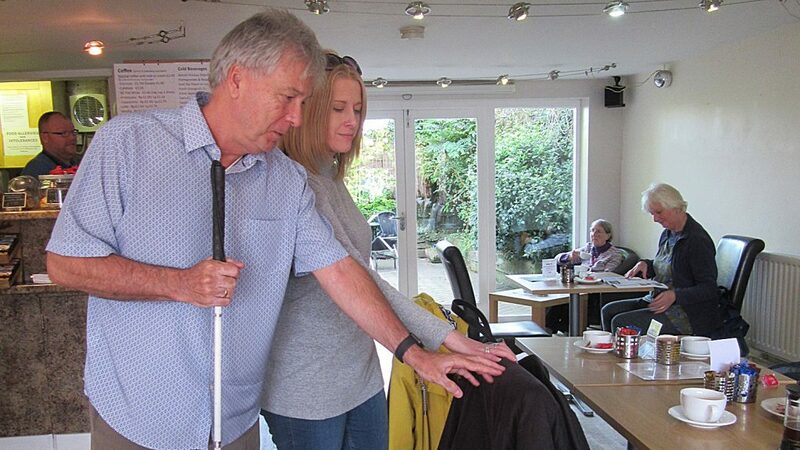 My Guide is a 1:1 sighted guiding service, that helps people with a visual impairment get out of their homes and into the community with a volunteer as their sighted guide. The My Guide service is a scheme run by Guide Dogs which helps people with sight loss to get out of their homes and back into the community. Across the UK, 180,000 blind and partially sighted people experience social isolation and loss of independence because of their sight loss. My Guide matches blind and partially sighted people with a volunteer. Volunteers will spend time guiding their partner on trips out to activities that the pair agree on at the start of their partnership. These will be activities that will help to improve independence and increase the ability to get out. Activities could involve taking part in social, leisure and fitness activities such as walking, going to the local gym, or accessing local community activities such as attending the theatre or cinema. “Almost anyone can become a My Guide volunteer, as long as they are over 18 and able to commit to half a day a couple of times a month,” says Wendy. Be the first to comment on "My Guide is changing lives in Hull."